The softest ombre scarf in a warm spring hue. And the daintiest initial rings you've ever seen. That's what today is made of. Merci Maman has amongst the most beautiful, and definitely the most original personalized jewellery selection I have ever seen. I couldn't take my eyes off these pretty little rings - a star for Izzy, a circle for Julian and a heart for Ms. Ava Grace. You must read the story of their incredible journey here. 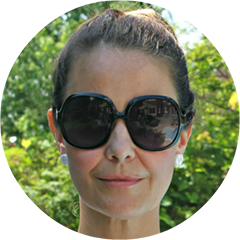 Merci Maman has graciously offered up a chance for you to win a piece of their jewellery of your very own. I chose my other favourite. Enter to win a personalized leather wrap bracelet in your colour choice - (includes one large and one mini charm, as pictured above). Beautiful jewelry! I would choose the dark grey bracelet with the disc + mini disc. Pretty! I would choose the mini heart charm and the girl charm with the fushcia or dark grey (I can't decide -- LOL!) leather wrap bracelet. I'd choose the fuscia leather wrap with the mini star and dog charms. Love this effortless look on you! They have such pretty pieces. I think I'd choose the Silver Wrap Bracelet with the Star and Mini Star Charms. I would choose the Dusty Pink Wrap Bracelet and the dog and mini star charm. I'd choose one in Royal Blue with a heart and a boy to represent my love for my little boy. love that wrap bracelet and that scarf is gorgeous on you! I love the Dusty Pink leather bracelet with the boy and the clover. Gorgeous items. I would choose the dark gray with star charms, lovely. Such lovely pieces! I would choose the fuchsia wrap bracelet with a large heart and mini heart charm!! I love the black bracelet with a Star and a mini star charm. You show some very lovely pieces of jewelry and so personal this way. Love your story. Someone will be very lucky! I like the pink with the girl and heart. I really love the dark grey leather, and I think I would get the disc and the mini heart! I would choose Dark Grey with a mini disc and a clover! I'd love the orange leather bracelet with engraved disc and mini disc to give it an elegant ad sophisticated yet whimsical look. Very cute jewellery! I would choose the dark grey leather and a sterling silver infinity charm and a heart. I would choose the gold Eternity charm with the fuschia pink bracelet...gorgeous!! I would choose Fuchsia Wrap Bracelet, and both charms being hearts. I'd choose Dark Grey Leather with a Clover and a Mini Heart. I'd get the dusty pink, and heart charms. 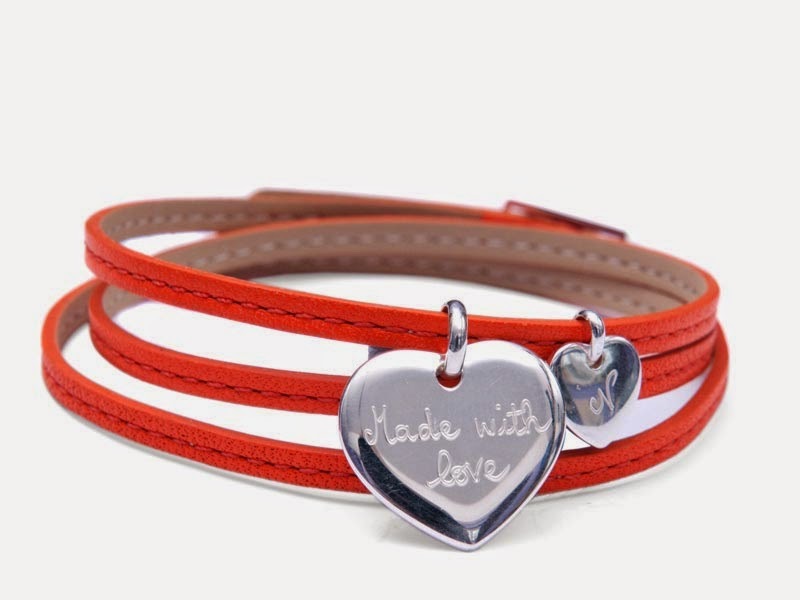 I like the orange leather,mother personalized bracelet. I like the dark gray with a heart and cat charms. I'd choose the silver wrap with the mini heart and clover charms. I would choose the dark grey leather wrap with the mini heart and clover charms. I would choose http://www.mercimamanboutique.com/cart/bracelets/mothers-personalised-gold-plated-family-bracelet with a girl and an angel charms. I would pick a heart and a mini-heart with orange leather. I love the dark grey with the sterling silver infinity charm! I would pick the fuchsia leather bracelet with a heart and mini star charms. I would choose Pink with the silver infinity charm and the heart. I would choose the dark grey leather with the cross and the mini heart charm. I love the initial rings <3 http://www.mercimamanboutique.com/cart/the-initial-rings They're gorg!! These collections look so amazing as well: http://www.mercimamanboutique.com/cart/infinity-collection and http://www.mercimamanboutique.com/cart/motto-collection!! I'd love a personalized heart or anchor charm with pink bracelet <3! I would love the women's personalized sterling silver infinity chain bracelet. I would like the dark grey leather with a large heart and a mini star. I would choose the silver wrap with the heart and mini heart charms if I won. I never liked bracelets, couse i type on a computer a lot, but this is really cool. I like black wrap with star charms. I love reading every last one. Thanks so much for stopping by our little blog. xo. Blog Design by The Olive Tree. Powered by Blogger. Copyright © 2015 Ava Grace's Closet | Blog design by Sky and Stars.